Get Amazing Online Navratri Gifts Choices at Giftalove.com! Navratri is the auspicious Indian festival that is celebrated twice in a year by the Hindus in India. This is the second time that people of India will be celebrating the festival of Navratri in the year 2016. Thus what will be great in demand during this time of the year is Navratri Gifts at market and shopping areas. Giftalove.com has thus come up with its extensive collection of online Navratri Gifts at excellent prices. Online shopping for Navratri Gifts may not be a very common thing among the people of India but is quite beneficial thing in many ways because Giftalove has come up with its extensive array of online Navratri Gifts. For the people of India this portal is a name for one of the leading online gift selling websites in India. Thus for the upcoming Navratri celebration the portal has come up with extensive array of online gifts making it easy for people to do online shopping for Navratri Gifts within a matter of few clicks. 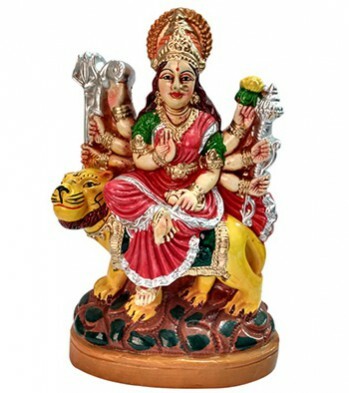 Moreover there is ease of getting Navratri Gifts delivery in India. One of the best and most relevant gifting options on Navratri festival is idols of goddess Durga. What can be better than bringing blessings of goddess Durga in life of near and dear ones? Thus at Giftalove.com there are plethora of intricately crafted Goddess Durga idols made of different materials for different choices. Worshipping goddess Durga and dandiya dance are the two most prominent elements of Navratri festival. Thus a combination of both reflects in this gifting option. 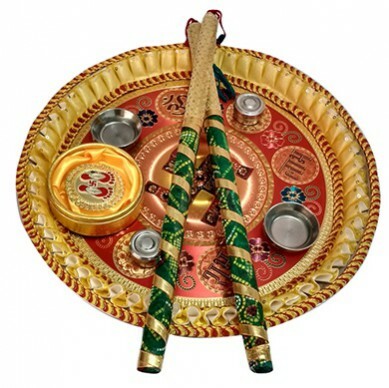 It’s a combo of decorative pooja Thali with dandiya sticks that combines both the elements of Navratri festival. 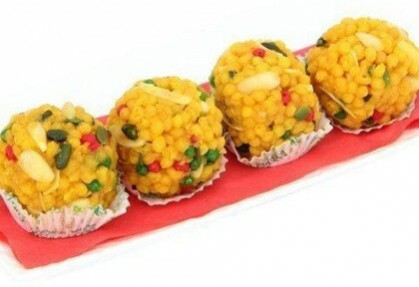 It is hard to imagine a festival celebration in India without the indulgence of yummy and delectable sweet delights. Thus for the auspicious and cheerful festival of Navratri, a box of delectable sweets like Motichoor Laddu, Rasgulla, Kaju Katli, Gulab Jamun, Soan Papdi and many other. To showcase your hearty feelings of love to the one you care, here at the portal there is vast array of online Potli with Dry fruits combo to buy online. 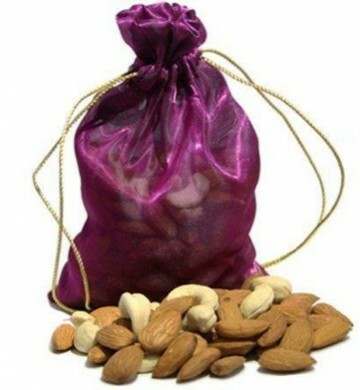 Customers can choose many amazing Potli with Dry fruits combo at amazing price point. Another auspicious Navratri gift for the auspicious festival of Navratri is Lal Chandan Mala that is available in variety of options to make choice for. 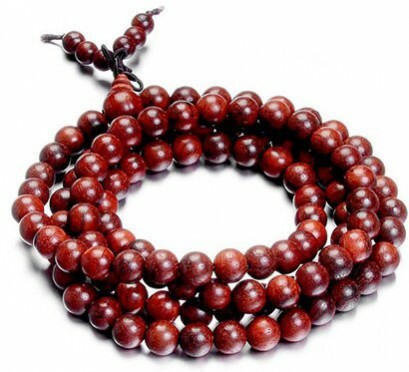 It will help yoir loved ones in worshipping goddess Durga or chanting the mantras of goddess Durga with Lal chandan mala. So this time stop venturing at crowded market places rather switch to the easiest way of buying Navratri gifts online via Giftalove that offers a vast array of online Navratri gifts and offers them at attractive prices. Now the portal is also offering attractive Navratri gifts for kanjak. So log on to its Navratri gifts range, right now!